Guardian Fall Protection Little Bucket of Safe-Tie - XL at Capitol Materials Coastal, Inc. 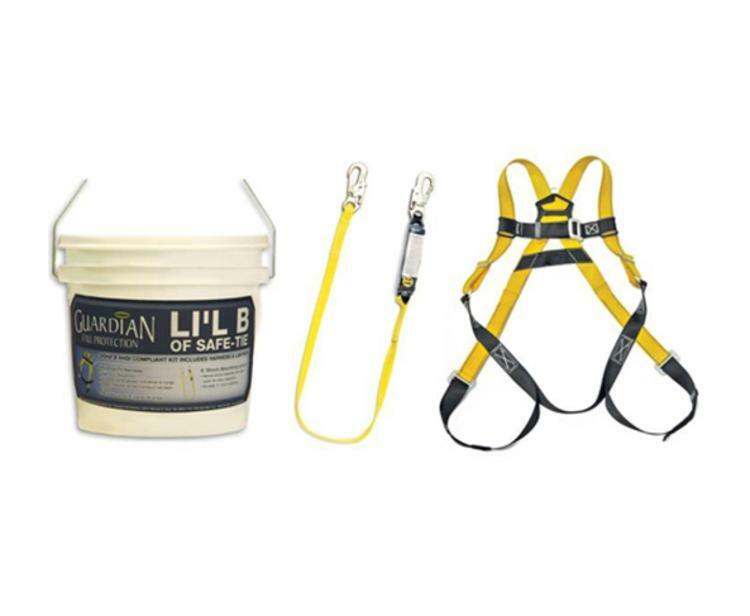 The Guardian Fall Protection Lil’ Bucket of Safe-Tie is a roofing kit built for the roofer, by the roofer. The Lil’ Bucket of Safe-Tie comes with (1) HUV Harness (different size options are available), (1) 6 foot Single Leg Lanyard with shock pack, and (1) Nylon Bag for equipment transportation and storage.